All India Pre-Medical Entrance Test 2014 will be held on 4th May, 2014 at various exam centers across the country and organized by Central board of secondary education CBSE. 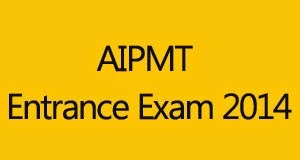 AIPMT Admit card 2014 were released on 1st April, 2014 and made available for download on the official website www.aipmt.nic.in. According to the recent notification released by AIPMT officials, the admit cards downloaded on or before the 7 PM of 2nd April, 2014 from the website aipmt.nic.in was invalid. We’re advised all the candidates appearing in AIPMT 2014, must go to the website aipmt.nic.in again and download fresh and valid admit cards for the AIPMT Exam 2014. How To Download AIPMT Admit Card 2014 (Fresh & Valid)? IF you have any discrepancy in the downloading of admit card or related query, candidate may contact on the following contact information on or before 20 April, 2014 (date extended from 25 March, 2014). Provide me the lattes Info about The IFSC Code Allahabad Bank Port blair Please sir provide the latest info …..